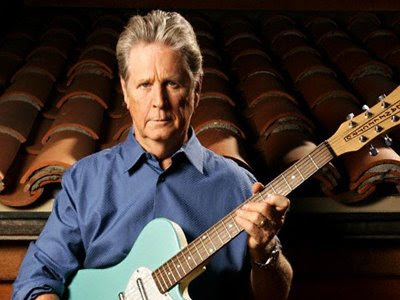 When former Beach Boy and legendary singer and composer in his own right, Brian Wilson comes to town, you really should be there, not because he went loco for a couple of decades and came back, but because after all of his issues, his recent albums, the lost masterpiece that was finally recorded Smile and his recent opus That Lucky Old Sun prove that Wilson still has that immaculate talent for putting together great music after all these years. Burger joint in the front, upscale lounge in the back, the menu at Pop Burger includes basics like 2 pop burgers for $5 for a quick fix or if your lounging, the likes of tuna tartar with soy truffle jus ($15). The Gaslight, a great hotspot bar in the meatpacking district, is dark and cozy while affordable for the area. If you don’t know Amy’s Bread, when you order a sandwich at a café or restaurant in the city, ask where they got the bread. There’s a good chance it’s from Amy’s because she’s one of the best bread makers in the city. Call him the Bob Dylan of our times (who funny enough is also playing in NYC tonight), but occasional Rage Against the Machine and Audioslave guitarist Tom Morello takes the front seat here crafting very strong protest style songs and dubbing himself The Nightwatchman. Joining him is political hip-hop artist Boots Riley. Those looking for good and inexpensive Italian food should most definitely check out Supper. Do yourself a favor and try the “Priest Stranglers” pasta with Marinara and soft Ricotta di Pecora cheese. A good bar nearby is 2A. With two floors of windows, it’s great for watching the remaining hipsters who can still afford to live in the city pass by. If all your dinner/drink plans fail and you need an all-in-one, the Whole Foods on Houston Street is your upscale go-to-grocery store for dinner and snacks. Part of the BAMcinematek series Punk n’ Pie, don’t miss 24 Hour Party People, a great docudrama that tells the story about the life and death of Factory Records, featuring Steve Coogan as Factory founder Tony Wilson, who was responsible for putting out music by Joy Division, New Order, and the Happy Mondays. Known more for its cheesecake than anything else on its menu, Junior’s also offers fantastic diner and deli style eats from steak burgers to deli sandwiches. If you can make it through dinner, the cheesecake will be worth the wait! One of Brooklyn’s most interesting dive bars, O’Connor’s offers cheap drinks in a place where Park Slope hipsters meet old-time drinkers, making for one of the oddest pairings that works. An excellent place to get schnitzel and goulash and other Austrian delights, Thomas Beisl is right across the street from BAM. DJ Honky and Mr. Robinson host a night of Northern soul featuring Atlanta, Georgia soul singer Eula Cooper making her first NYC appearance with her band the Sweet Divines and the Divine Soul Rhythm band. Also joining the band will be Binky Griptite of The Dap Kings. England’s Mick H will be flying over just to spin old Northern Soul 45s. This one looks sweet. Creating a seasonal menu filled with fresh and locally grown ingredients along with wines from small interesting local wineries, ICI creates innovative dishes like Wild Striped Bass with shitake mushrooms, fennel butter, and fennel slaw ($25). An eclectic bar in Ft. Greene that has absolutely nothing to do with The Simpsons, Moe’s offers a decent beer selection, a neighborhood vibe, and big windows to people watch. For coffee and a place to just sit and relax, Tillie’s serves a great cup of joe, while consistently having performances, and serving excellent baked goods and vegan food. If your equal parts kitchen geek and rock god, the Fondue Takedown is right up your alley as fondue fanatics gather to compete for a $100 prize. But for $10, you get to taste and judge everyone’s mad creations. Where else are you going to get PBR and melted cheese under one roof? With so much good food in Williamsburg, you should not forget about Chimu. A Peruvian steakhouse right next to Union Pool, the rotisserie chicken and every other dish I’ve had here is amazing, and it won’t break the bank! For drinks, Union Pool is still one of the best bars in town. If you’re single, it’s a goldmine for booty, the drinks aren’t pricey, and the DJs play an eclectic mix of ridiculously good music. Not exactly Pinkberry, yet just as expensive, Eks is Williamsburg’s answer to the yogurt fad currently popping up everywhere.